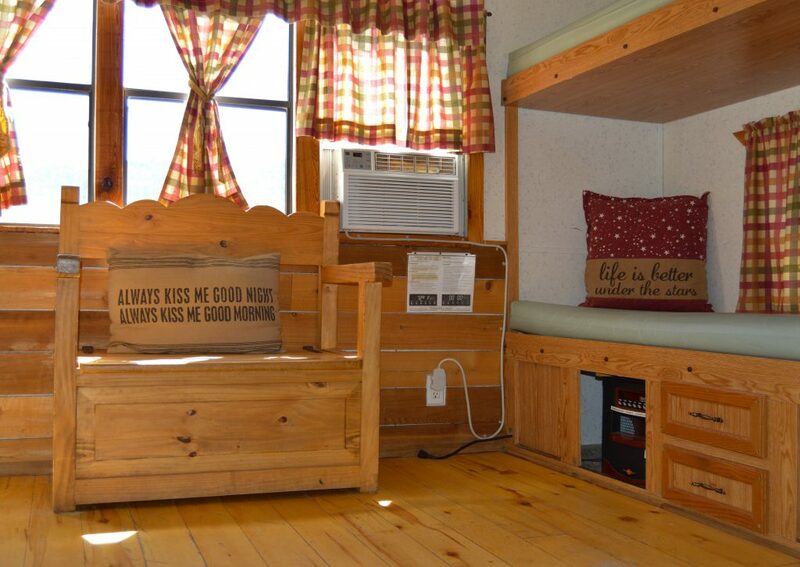 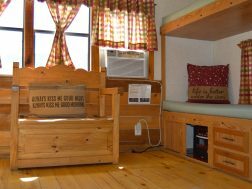 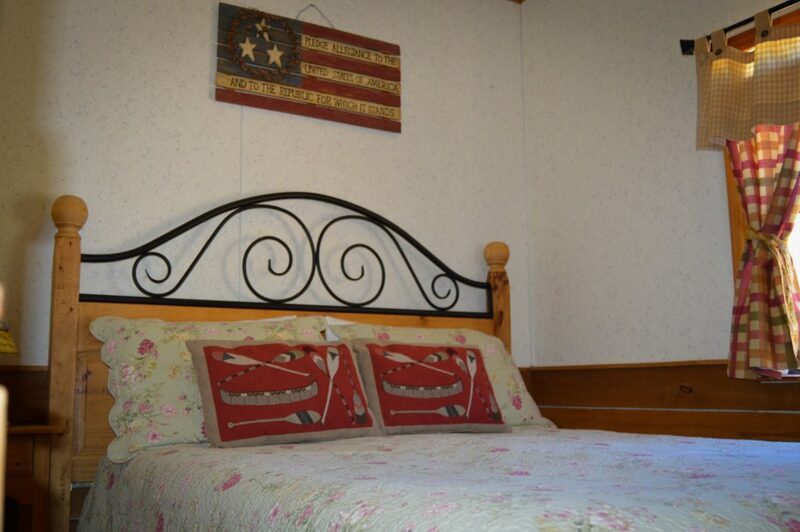 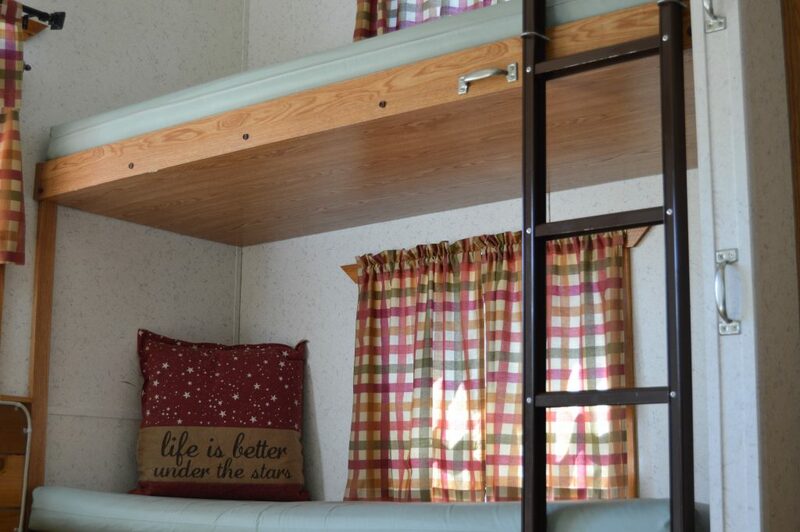 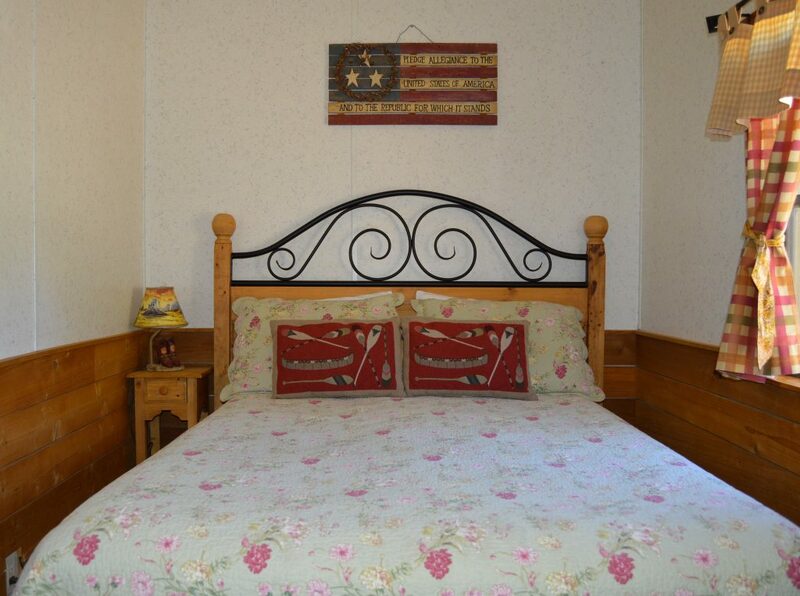 Our cottages are a step up and sleep four comfortably. 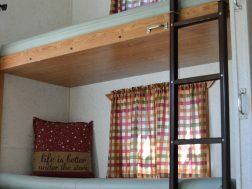 They offer a private bedroom with double bed, small sitting area with a set of bunks, the loft is sleeping room only and has a double size mattress. 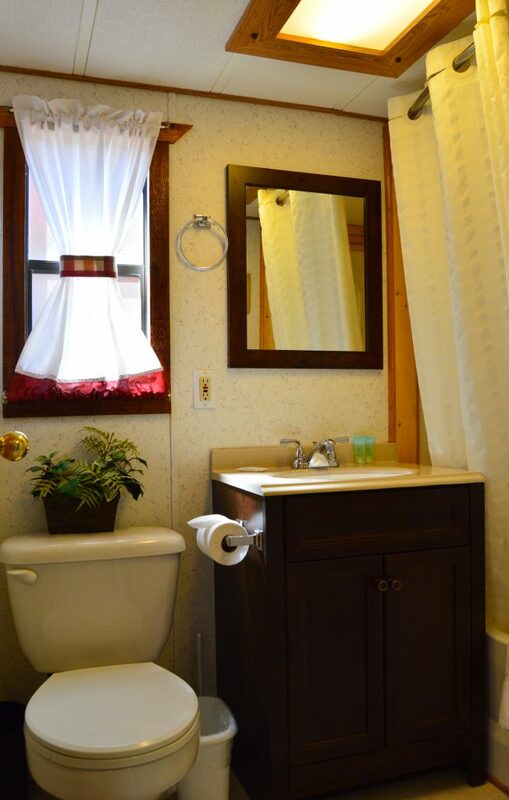 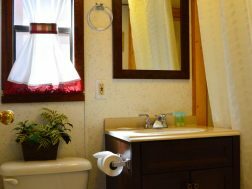 The cottage offers full bathroom accommodations with shower/tub combo. 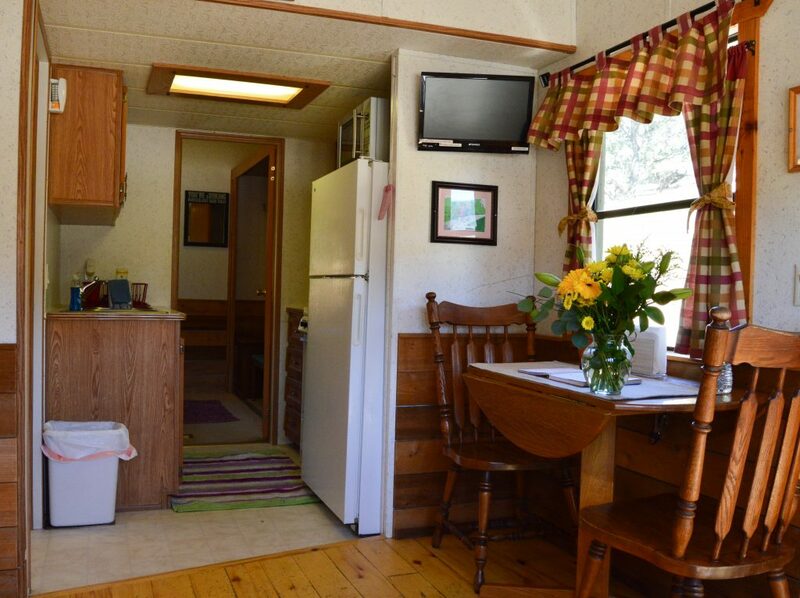 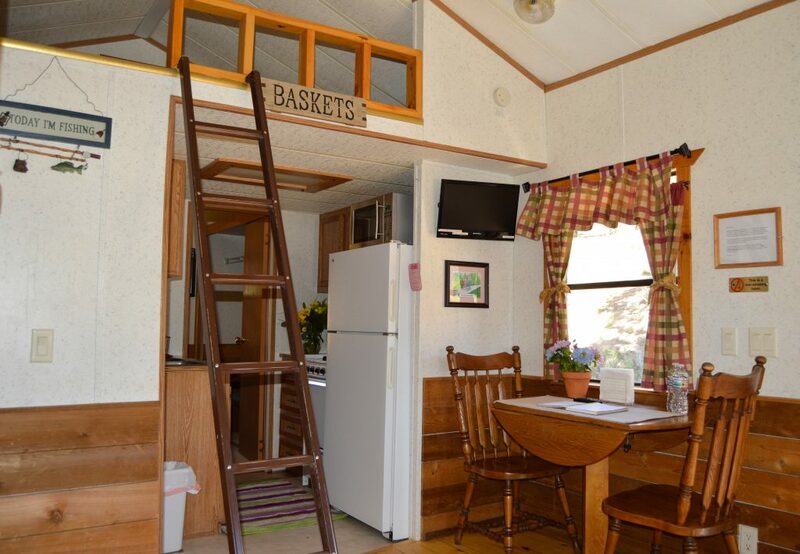 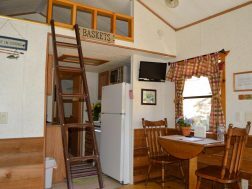 The full kitchen includes a microwave, stove, full size refrigerator, coffee pot, all the essentials for six people and air conditioning. 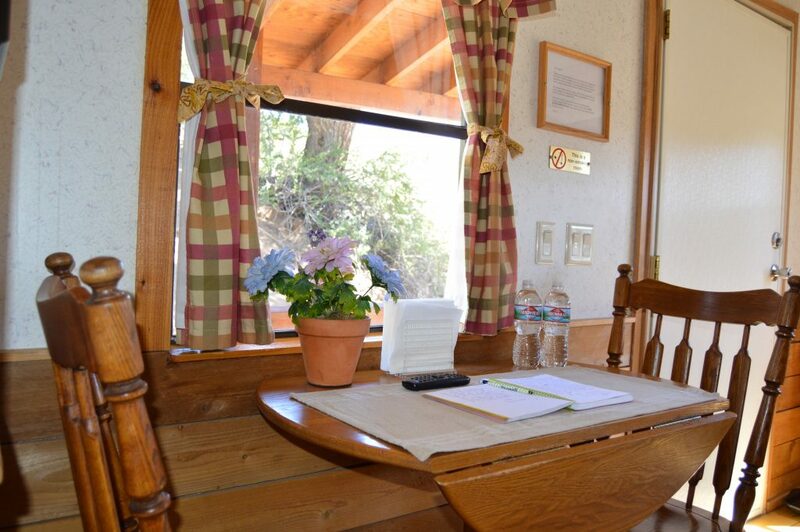 Cottages offer Cable TV. 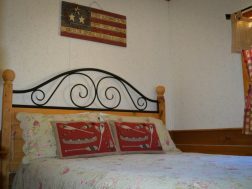 Linen provided for private bedroom only. 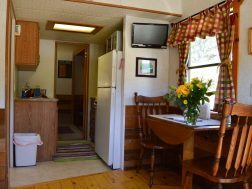 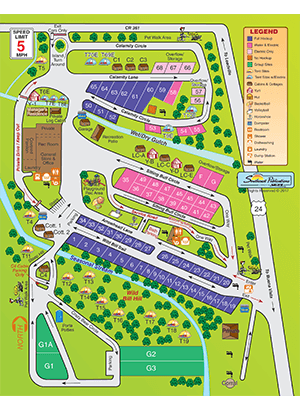 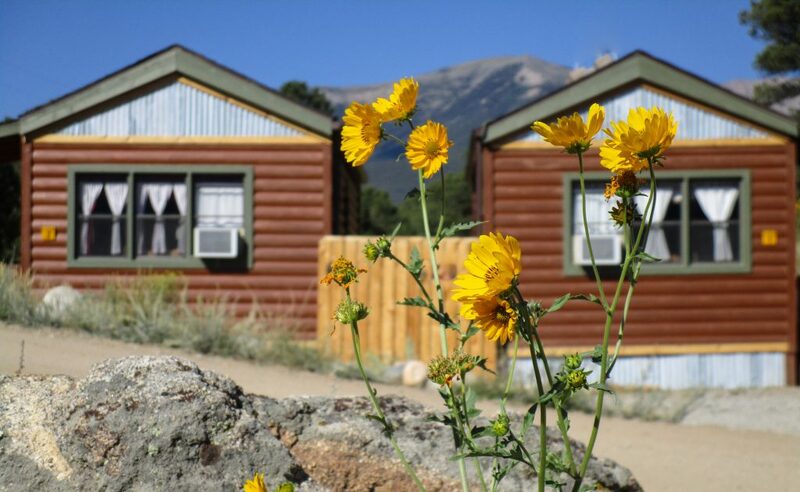 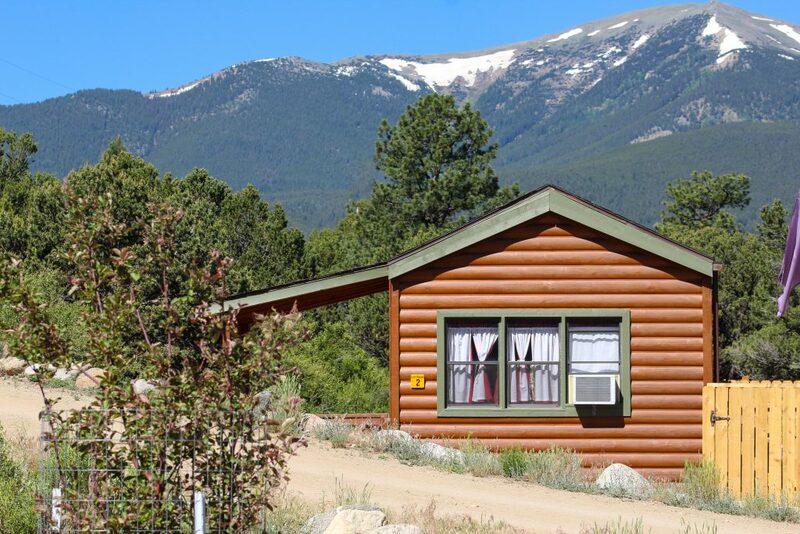 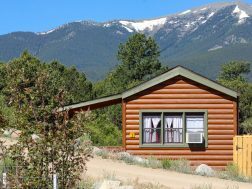 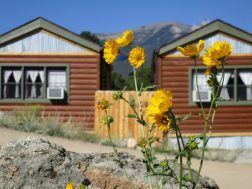 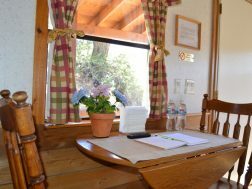 Each cottage offers a private backyard with a picnic table, ground level grill for cooking and a fire pit for campfire and family time under the stars!